Our vision is to see every woman in church planting trained, supported and valued. COUPLES GO INTO CHURCH PLANTING TOGETHER. They are called, assessed, and sent as a unit. But from here forward the focus shifts to the planter. Parakaleo, the Greek word for “coming alongside,” is dedicated to ensuring that both members of this team receive gospel-centered training and care. Specifically, Parakaleo trains leaders to relationally support and equip women called to church planting. 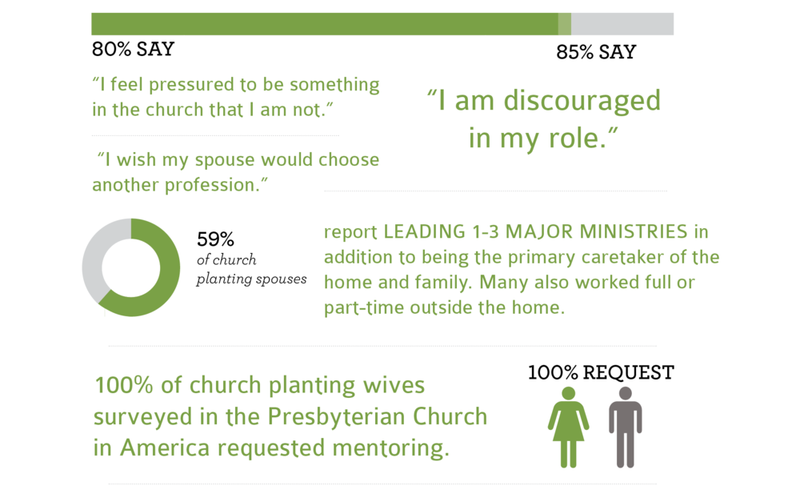 We desire that every woman in church planting is recognized, trained and supported. By training, supporting and valuing women in church planting we create a virtuous cycle of health, joy, community and education. These women replicate their training by teaching others and pouring these truths back into their home church. Couples have a high success rate for the survival of their church and marriage when both are trained and coached. OUR MISSION IS TO COME ALONGSIDE WOMEN IN CHURCH PLANTING WITH THE GOSPEL AND OUR LIVES.